There’s no need to confine vacation memories to inside your home. 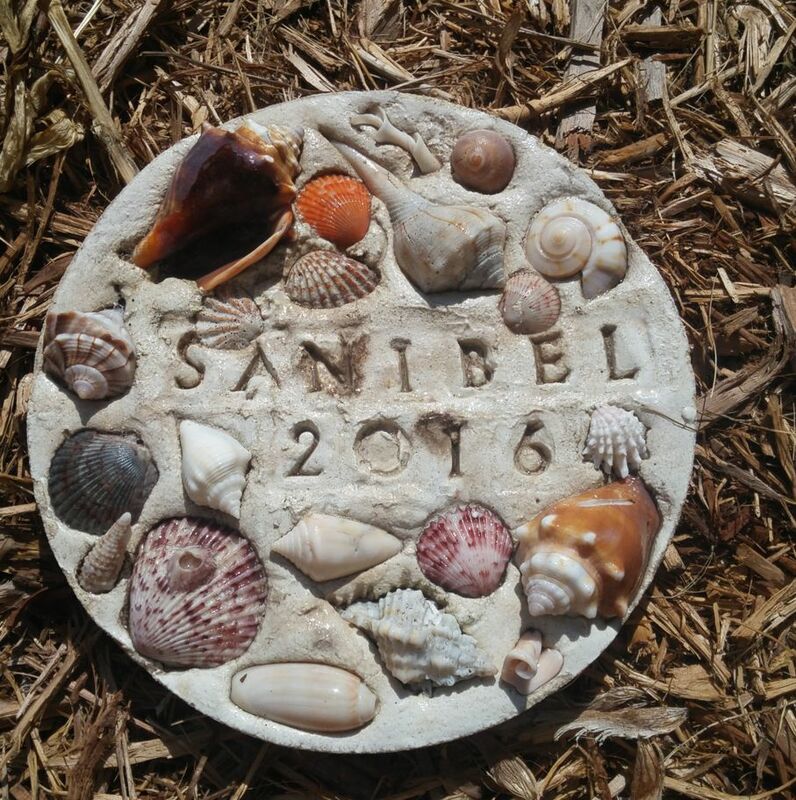 Garden stepping stones are a terrific way to preserve and display shells and rocks you gather during family trips. Who can resist collecting beautiful seashells while walking on the beach or picking up colorful rocks during a hike in the mountains? Those things are great memories of vacations or special trips and often find themselves put in a jar or on a shelf to display. After a few years, nobody really remembers where or when they were found. Here are some tips to help you preserve items in stepping stones for display in your garden. Stepping stone kits can be found at any craft store and are often marketed as crafts for children. Popular around Mother’s Day for kids to preserve their handprint, kits also come with additional supplies that can be used to create beautiful garden stepping stones. 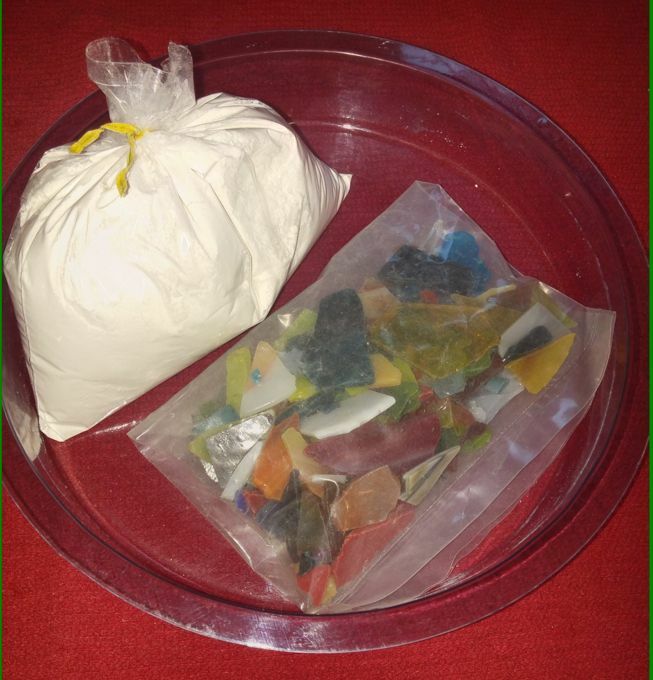 The contents of kits vary but generally come with a plastic form to pour the concrete in, a sack of concrete powder, pieces of colorful mosaic glass, and even plastic letters to add names or messages. 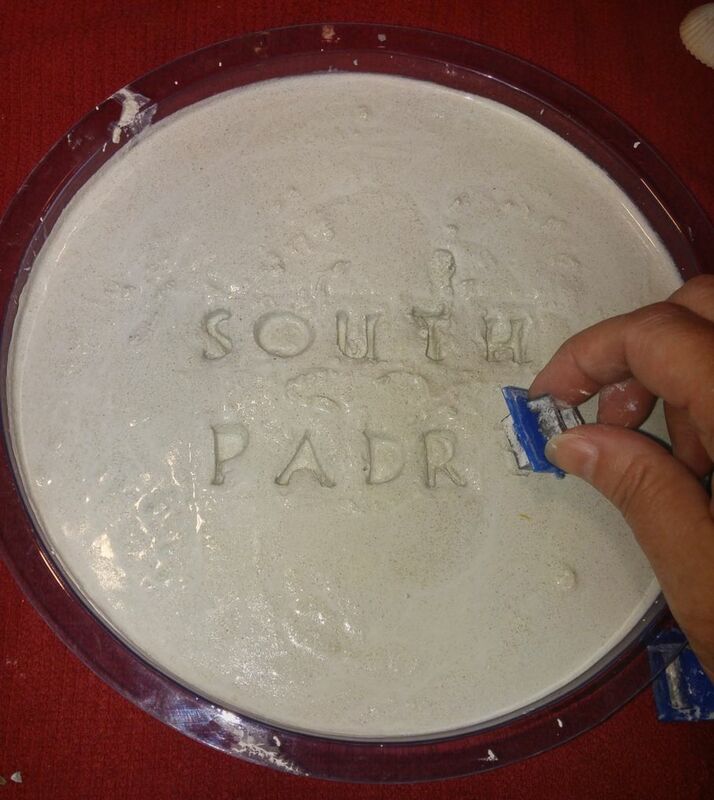 Instructions will also be included to give appropriate mixing directions. 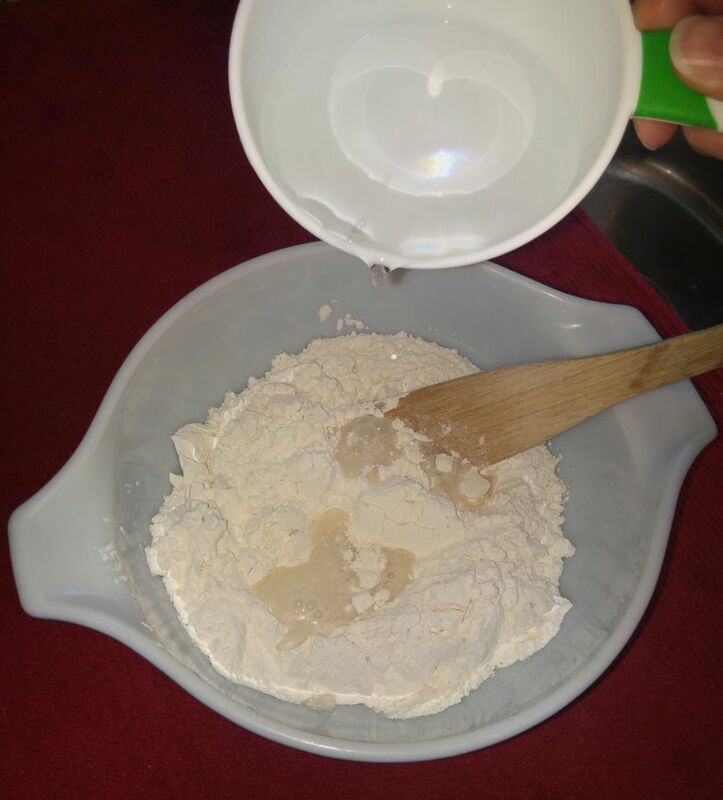 Be sure to add water a few drops at a time once the powder begins to dissolve. If too much water is added, the project won’t set-up properly. Add too little water and the stone will crumble. You will want to keep any unused supplies including the plastic form to create additional stepping stones without the need to purchase an entire kit again. Small bags of concrete can be purchased individually. Because I love a great beach vacation, I always bring home bags of seashells that I’ve found during walks along the beach. As soon as the unpacking is done, I start sorting shells for my display jars as well as some shells for my stepping stone. 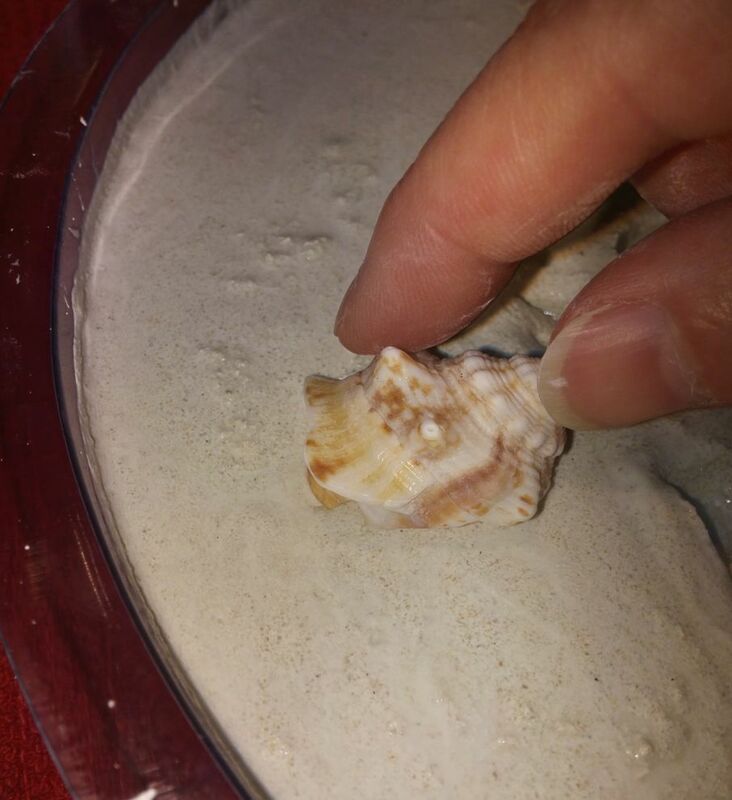 Since part of the shell will be buried in the concrete, it doesn’t matter if the shell isn’t perfect. You can also collect unique rocks or other found items to be included in a stepping stone as well. Decide if you want to include the location, year, or names of people who were on the trip in addition to the items that will become part of the stepping stone. Do you want to create a design with the items themselves or do you prefer a random scattering? You may want to use your own writing utensil and your own handwriting instead of the letters that come with the kit. Perhaps include everyone’s thumbprint who went on the trip on the stepping stone — anything to make it reflect your trip and your personality. Once the concrete is poured into the form, it will begin to harden within the first 30 minutes. If you’re adding words to your stepping stone, do that first to make sure everything will fit as intended. When something doesn’t look quite right, simply smooth out the concrete and try again. 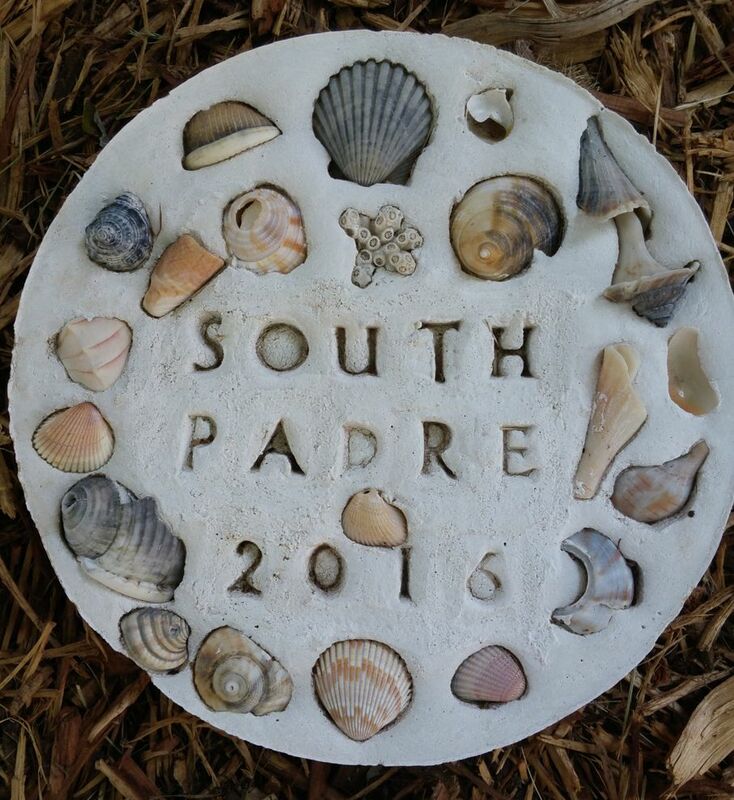 Once the words are complete, you may add the shells, rocks, or other objects to surround the words. Gently push at least part of the item into the concrete to make sure it does not come lose while displayed outside. Once the concrete dries, the items should be secure. It’s important to let the stepping stone sit and cure undisturbed for 24 hours. Once that time has elapsed, the finished stepping stone may be removed from the plastic form and be displayed in your garden. After several memorable trips, your garden will become a scrapbook of memories as the stepping stones will forever preserve your precious gifts from nature. You won’t be able to stop yourself from smiling and reminiscing each time you work in your garden.